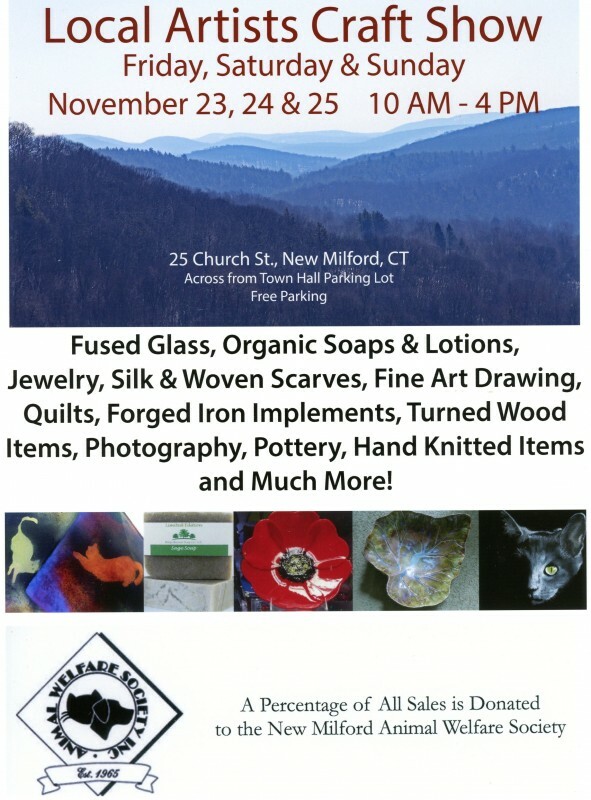 Local Artists' Craft Show. Friday, Saturday & Sunday, November 23, 24 & 25. 10 AM to 4 PM. 25 Church St. New Milford, CT.